Lastly, if you want to learn more about Tipi's, may I suggest you pick up a copy of a very good book on the subject. The Indian Tipi: It's History, Construction and Use, by Reginald and Gladys Laubin with Stanley Vestal, University of Oklahoma Press, Second Edition, September 1989. Outstanding book! A few of the things covered in the book I had already read, but there is so much good information here! Thank you so very much! The Kids are already learning!!!! The 7th and 8th grade students from the local Junior High School have already taken on studying the tipis! They have researched the outside painting and symbols and made small versions of them out of brown paper with their drawings on them and gave them to us as well as drawings on paper. I know it sounds silly of me to get so excited, but at least they started somewhere! I'm a person that loves to learn and for a person that has never seen the inside of a college except to enroll my daughter, I have learned more in the last few months than I did my entire traditional studies in school. We are working on our website design right now and want to include good Indian related websites for our visitors. Any suggestions? I have tons marked as my favorites, but should I just stick with the Tribal websites? ...We are working on our website design right now and want to include good Indian related websites for our visitors. Any suggestions? I have tons marked as my favorites, but should I just stick with the Tribal websites? May I suggest you go to the following sites which in turn have lists of other Native American topic websites. Have you ever noticed that we so TOTALLY have to celebrate Cinco De Mayo and Black History month? BUT YOU NEVER HEAR A WORD about NATIVE AMERICAN HISTORY MONTH! I didn't even know there was such a thing until I got on the internet. How disgusting is that? We are having a tipi design contest with the 18 and under group from the community. The community leaders want it judged by the Art League and when I suggested we include the American History teachers from the area, it was like I called them a bad word. We want the children to learn what it's about, not if it looks good or not. Don't you think my way is best? We will have it my way even if it steps on toes. I'm not trying to force them to learn, but I was always taught if you are going to get involved in something, learn about it while you are doing it. At the tipis - WE WILL CELEBRATE NATIVE AMERICAN HISTORY MONTH! I just need suggestions on good ways to carry that out the right way. Any ideas? Anybody? Thanks so much to everyone for your input! This has truly been the most important thing I have ever done in my entire life. it would have been awesome if someone in our community had done the things u are doin. but lil ole po-dung fort stockton doesn't do much native american wise, besides a mescalero apache that brings his tools and his art. it alos makes me mad that we celebrate cinco de mayo and mexican independence day, but nothing about Texas Independence Day or any of the battles.....royally chaps my hide. I have been down that section of highway many times and always thought it would be cool to see them restored. They were in bad shape last I saw it, but I am sure ya'll know all about it. There is a serious lack of knowledge in the coastal plains of TX. There is almost zero eveidence of history and the story of the Karankawas is almost gone forever. The lower Colorado basin was a very active site during winter, when the migrating buffalo herds pushed all the way to Matagorda. There are large camps all along the river for it's entire length. Tonkawa tribes were the ones longest associated with that region. Where my place is, near San marcos is the community point in TX where all tribes came together in peace for the sacred spring(which is now and amusement park and crappy golf course ) and the northern edges of Tonkawa roaming. Keep us updated and pics are always nice. Good luck and I promise to stop in when completed. AGAIN - THANKS TO EVERYONE FOR ALL OF THEIR CONTINUED HELP! Last edited by suzyq; 05-25-2005 at 11:06 AM.. The before to the in progress pics are amazing. They look great. Plans are underway on the Grand Opening of the motel and I thought this would be a perfect time and place for a Tipi competition. Is there a chance (since it's in Texas) that we could possibly have a good turnout of competitors? Any help would be greatly appreciated. When will this grand opening be...if in the hotter months of summer you are going to have a problem with heart attacks. 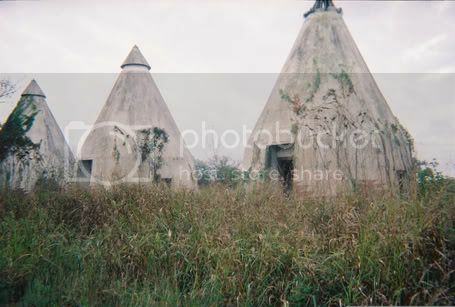 Many people do not put up tipis durring the hot time of the year in the South and West becuase of this. Then you have hurricane season...need I say more. But would like to know more about what you plan to do for competition. Right now I am getting ready for the National Tipi Competition in Danville, Ill. where there will be tipis in the traditional and modern styles. If you let me know right away what you are going to do....I leave Monday Morning...I will talk to the other tipi owners and see what they could do for you. Some are from the Texas area. But would need time and some advertisement that this is going on????? Bringing in tipis is a big cost and big travel for these people. More so than any other event for people to participate in. If you want a large amount of tipis or a few...depends on you and what you are doing? I am the moderator for this site and have been reading these post for a short while. Been busy the last two years writing a new book on tipis due out by Xmas? It is not a re-hash of Laubin, but a new look at the evolution and historical as well as construction of tipis thru the last 150 years or so...and that is cloth tipis, not buffalo. Someone else is doing that. As for Prairy Edge and authentic material....do more research. They are for the tourist and not the hisotrical minded people. But to put in a motel for decoration...they are ok. What ever you put up...secure it GOOOOD or it will walk. And do not put in anything you do not mind loosing. In any work you look at...look for what is called first person or writen or photographed at the time talked about. Anything after that is second person and not reliable account. And have you been to my site? First, thank you so very much for taking the time to help me out here. Our biggest problem is the heat. That is the main reason for delaying the grand opening. We are hoping to open in August, but have the grand opening in September or October even. My reason for posting here without a date yet, was to see what is more suitable for this type of competition. I would really love to do it mid-September before the rain starts in. I had originally thought Labor Day weekend, but it is still pretty hot here that time of year. Tieing the competition in with the motel would be no problem as far as advertising goes. 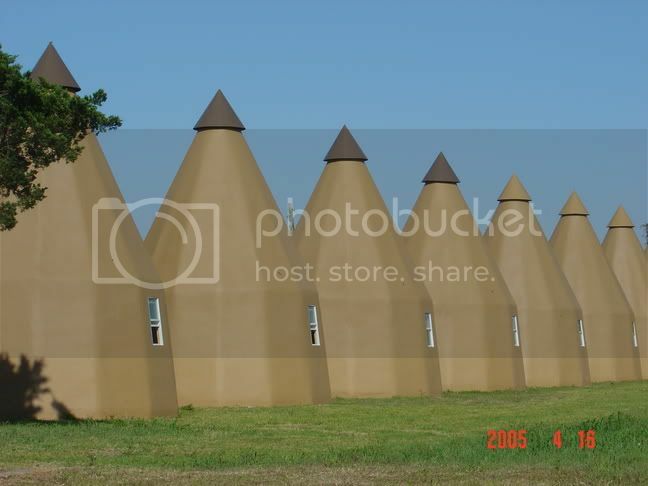 Although we have not restored them back with original interior materials, the place is still considered historical all over the United States (if not world wide) since there will now only be 4 original concrete tipi motels operating in the United States. And with input from you or others with suggestions on further advertising, we can do whatever we need to do to get the word out. I have visited your website. It is very informative and has helped me a lot. I am working on the tipi competition rules using others since I have never done this before. I plan to work with area vendors to prize donations for the competitors and we will have $$ awards as well. I'm still working on the rest of the awards too. Traditional and modern tipis are welcomed in the competition. I hope I have answered all of your questions, if not, please feel free to let me know. AGAIN, THANK YOU SO VERY MUCH FOR YOUR HELP!! Do not do anything with tipi over the Labor Day Weekend...no one is home and all are at the dances. October is a better month and with more time. And time is your problem. How many tipis do you want to get there? Doyou trulely want this to be a bang up contest? You need time to advertise and that is NOW depending on what you want. If it is just to have a few tipis...do it in the next few months. The contest guidlines that I wrote for Nationals and the web site are NO longer going to be used. Have come up with a whole new standard for Traditional, Contempory and traditional contempory for the new book. If you are interested in this, let me know. Will send you a pre-publicaton on the contest guidlines. Also, in a month or more...that whole web site is going to be revamped. MORE pictures and information. In the past, prize money of 100 for first and then down the line have been offered to get tipis to come...it only brings a few lodges and definitly does not cover the gas to get the big boys with the great lodges to come.....a little insite into what you are up against. I will tell you this, no one has every realy tried to get the great lodges to come out except for Nationals...and that is just for ribbons and bragging rights. Guess what, ,most the really good tipis are not coming to this. Why, gas prices, jobs and distance. So here are a few ideas to mull over again. This is exactly why I try to get help wherever I can on this whole project. If I do something, I want to do it right from the beginning and not by trial and error. Thanks for the Labor Day info, that really helps. We want as many tipis there as we can get. I want this to be a bang up contest and not just to have a great grand opening, but to put real meaning into the tipi. Everyone that stops by to see our motel think they are the coolest thing, but they have no idea as to what a true tipi is or what it is about. I would love to have your new tipi competition information. You can e-mail to me at [email protected]. Thank you so much for your help in this area as well. Prize money is something I had not seen any information on yet. How much do the big boys like to see as far as $$ go? I know for sure we will do much better than $100 or ribbons, etc.. If I knew what kind of turnout we might could expect, I can contact our Chamber of Commerce and begin work to get extra money as well. Is there usually a entrance fee for the competitors? I am trying to narrow down a date this weekend. I just spoke with our general contractor and they have at least 6-8 weeks of work left to do and that may put us into September before all of the contractors are completely finished. Which would work out great. When dances put on big contest events they offer thousands of dollars to the first place winners in each catagory. To bring in the good tipis and entice others to come...you would be looking at at least 1000.00 to start in each area, if you have areas of competition. And then on down to 3rd. place. Tipis owners put in time at a dance because they are up 24 hours and open to the public alsmost all that time than a dancer is on the floor for a few hours at a time. And money, you should see the amount of money these people put into their lodges just to look good. So the more the merrier will get tipis into a competition. And you have several great lodges in Texas and the surrounding area. Thank you so much for all of your help and information. I am currently researching dates, etc. for early spring for the event. I would love to do it in the fall, but as I said, I want to do it right and taking my time doing this will give us those results. I am also engaging the help of our Chamber of Commerce Prez since she used to put on big events for a living in Austin, Texas. She is a great help as well. We have truly been blessed with so many wonderful people and their desire to help us. Words cannot express my gratitude completely for this. Just know that "thank you" means so much more!! Do you have a date set for Grand Opening yet? We're supposed to be meeting today to make a final decision. I will be sure to let you know. If you email me your address, I will personally send you an invitation. Hey, let the whole group know...you never know who will show up.